Are you and your car ready for this season? Whether you’re staying close to home or heading across the country this season, holiday driving can require more preparation than your average commute. Radio stations begin playing time-honored holiday songs (which may or may not excite you), shopping stampedes become the norm, and the weather seesaws between cold and even colder. These tips should help ease the stress of holiday driving, whether you’re in the passenger seat or behind the wheel. Build your own holiday playlist. If you’re a fan of “Frosty the Snowman” and “Jingle Bell Rock,” then turn up the radio and enjoy the rounds of holiday music! Or, use a music streaming service like Songza, Pandora, or Spotify to personalize your listening selections. These services can all be downloaded to your smartphone, so you can listen in your car or with headphones while you’re shopping. Prep your car for colder weather. To avoid more work in the spring, or worse – an accident brought on by a poorly maintained car, prep your car for snow, ice, and single-digit temperatures. First, check the air pressure in your tires. Warm temperatures can cause the air in your tires to expand, while colder temperatures can cause it to contract, decreasing your tire pressure. Low tire pressure means lower fuel economy and less overall stability. Next, test and clean your car’s battery. You’ve probably experienced the inconvenience of a dead battery after a night of near-freezing temperatures. Since batteries tend to perform worse in cold weather, get your battery tested before you have one of those mornings. Auto Zone, Pep Boys, and Advance Auto Parts all offer free battery testing and installation. Pay attention in the parking lot while shopping. Parking lots are where the most mall-related crime occurs, according to Consumer Reports. Park in a well-lit area and don’t let your car be an easy target for thieves. If you must leave valuables in your car, hide them before you arrive at your destination. If a thief sees you hide your purse or computer in the trunk, they know it’s there and could be even more tempted to break into your car. Transport your holiday feast without making a mess. 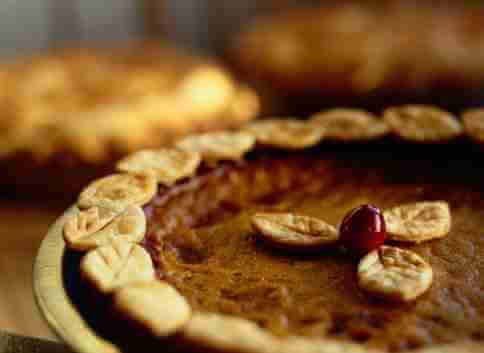 You labored in the kitchen for hours perfecting your famous casserole and scrumptious pumpkin pie. Now it’s time to transport it all and you’re a little nervous…what if steaming casserole juices stain your floor mats and your pie get squished by a clumsy passenger? To transport a hot casserole, grab a cardboard box and a couple of old beach/bath towels. Place the casserole in the box on top of a layer of folded towels. Pack the sides with towels to keep the dish from sliding around. Tuck a towel over the top for good measure. The towels will keep the food warm and catch any juices that happen to spill. To transport a delicious pie, you can do one of two things: if your pie has a crumb crust, put an empty pie plate upside down over the top of the pie and wrap it all up in a long piece of foil; if your pie crust is more delicate and you don’t want to put pressure on it, grab a cookie sheet, large bowl, and some double-sided tape. Use a piece of double-sided tape to hold the pie to the cookie sheet, and then flip the large bowl upside down to cover the pie. Tape the edges of the bowl to the cookie sheet and you’re ready to roll! We hope you have a smooth holiday season and would love to hear your tips for beating holiday stress. Let us know in a comment below! What pleasant surprise! Check out these easy, affordable, and unique gifts for the car enthusiast in your life!